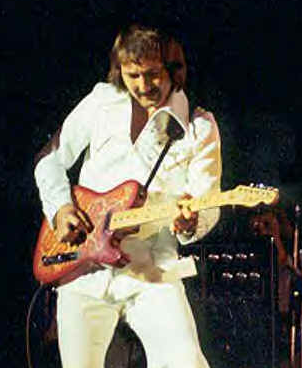 Best known for playing with Elvis Presley, James Burton got his iconic pink paisley Tele from Fender in 1969 and used it extensively through Presley's death in 1977. "That was the guitar I played with Elvis from '69 up until he passed away in '77, and I also played it with Emmylou Harris and I played it on many many records. My mum and dad bought me my first Telecaster, which was a '52 that I played on "Suzie Q" and on tons of records."